Welcome to Scrap Metal Sydney! 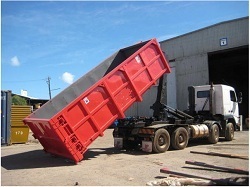 Here at Scrap Metal Sydney, we pride ourselves on providing a reliable service to all Sydney residents. We offer competitive prices for all your BULK metal scraps! So whether you have vehicle scraps, large quantities of household scraps, computer parts, kilos and kilos of wires etc, call us and we’re there to take that scrap away from you for free. Call us to see how much money you can save / get for your scrap. We deal in all sorts of scraps. Our dedication to the removal of scrap metal in the industry gives us the ability to offer a professional scrap metal removal together with a free pick up service anywhere in the Sydney metropolitan area.